I almost stopped reading because I didn’t want to learn more. I’m glad I kept on going. 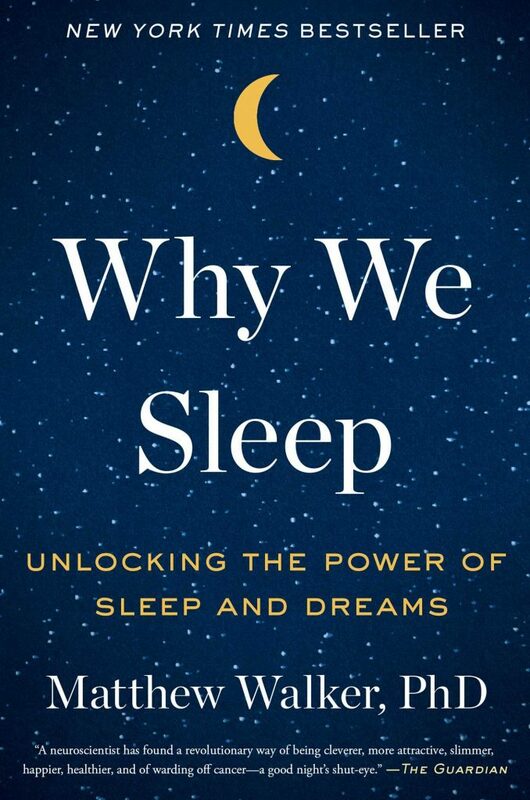 I was very ill-informed about the importance of sleep in our lives and how it nourishes our brains – even how sleep patterns change over our lives. You likely already know that some people are night owls, while others love the morning. Unfortunately, society doesn’t cut the owls much slack, so they often burn the candle at both ends and don’t get enough sleep. The schedules we keep also do our middle and high school students a disservice. They need nine hours of sleep a night. Their natural cycle is to go to bed about 11 p.m. So, to get their 9 hours of sleep they should not get up until 8 a.m. Many students have to be to school by then. Walker expresses frustration because sleep should fit teens’ biological clocks. We collectively are left to answer the question: How do we allow them to sleep at the times that are optimal for their health and cognitive development? As a neurologist, Walker does an excellent job of laying out the science. He makes compelling points, yet he realizes that changing how we sleep and the amount of sleep we get is an uphill battle. Reading this book more than once is a start. I recommend it to you. If you take the science to heart, your life will be better. If you’re a night owl or middle/high school student, you’ll need a little help from society to get you there. Now, there’s a discussion we can all have. More on this later.